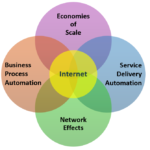 Driving sustainable growth is a challenge for every SaaS business from startups to public companies. In the beginning, the SaaS recurring revenue model seems like a dream compared to the revenue fits and starts of licensed enterprise software. But within one short customer lifetime, every SaaS CEO startles awake to the fact that the churn monster is always looking over your shoulder. In the short run, SaaS growth scales with customer acquisition, but in the long run churn kicks in and dominates even the most aggressive SaaS growth strategy, creating a SaaS growth ceiling that can be incredibly difficult to break through. 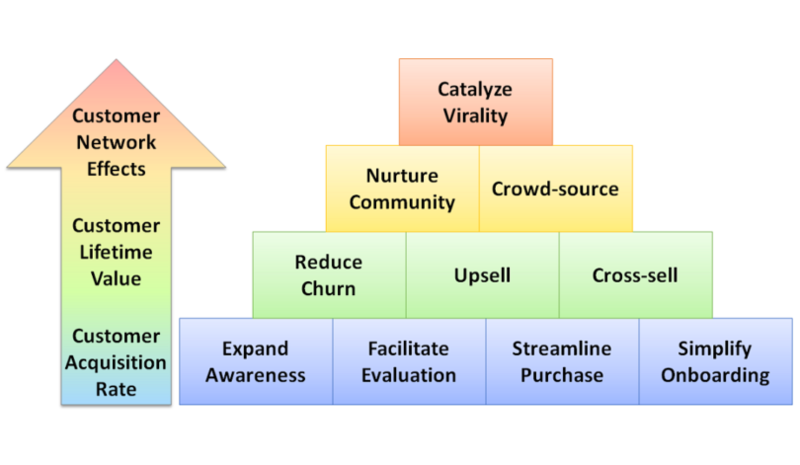 SaaS churn naturally scales with the size of your customer base making it negatively viral. Overcoming churn and breaking through the SaaS growth ceiling requires a relentless focus on growth that pushes every available SaaS growth lever. 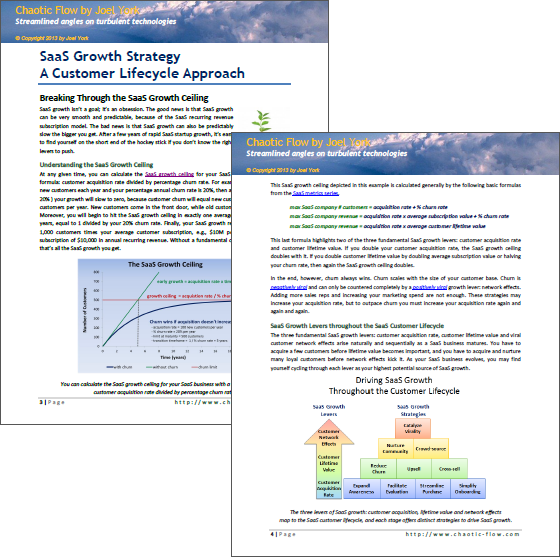 A compilation of recent popular articles at Chaotic Flow, this detailed eBook outlines a framework for driving sustainable SaaS growth throughout the SaaS customer lifecycle. 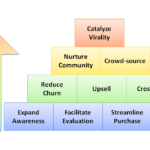 It introduces the concept of the three fundamental SaaS growth levers: customer acquisition, customer lifetime value, and customer viral network effects as well as the SaaS Growth Pyramid that outlines the corresponding SaaS growth strategies for pushing them. Finally, it wraps up with Eleven SaaS Product Secrets that Drive Growth, one for each stage of the SaaS customer lifecycle. Enjoy. And if you like it, please share it!